The last time Anthony Bourdain was in Beirut, he got caught up in something far more dangerous than the random restaurant scuffle over a wrong order or bad service sometimes seen while filming his critically acclaimed travel-food show "No Reservations." While filming an episode in July 2006, Bourdain and his crew became eyewitnesses to the latest chapter of the Israel-Lebanon conflict. Instead of describing delicious food and a steamy nightlife, their Beirut episode became a documentary on how they fled a war zone, watched the destruction of the capital city from a luxury hotel balcony on a hillside and eventually escaped the country on a war ship with the help of U.S. Marines and much less help from the U.S. embassy. "This is not the show we went to Lebanon to get," Bourdain said during the opening scenes of that Beirut episode, one that eventually garnered an Emmy nomination. But now, four years later, Bourdain is returning to Beirut to try to tell the city's food story again. He is scheduled to arrive today to begin filming. 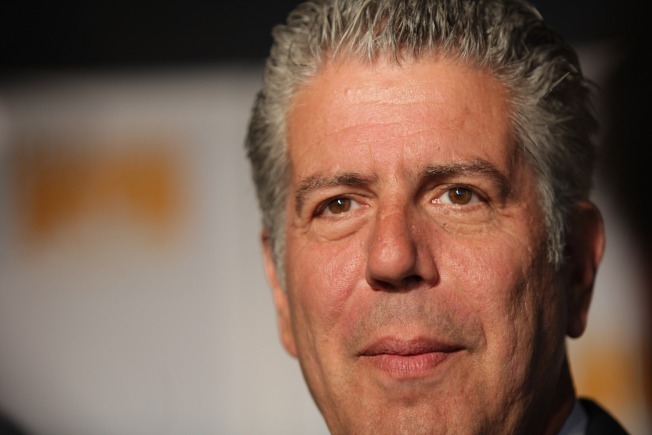 "I'm very, very excited about going back," Bourdain said. "It's the great unfinished business of my career." Bourdain, clearly still personally affected by what he saw in 2006, is going to try to recreate the original episode he planned -- only this time without run-ins with armed Hezbollah supporters, the escape routes from hotels and personal quantities of blood-clotting powder. He's taking the same crew (minus one pregnant staffer), is going to the same restaurants -- including the only one he was able to get to his first trip before the bombing started -- and will attempt to meet all of the same people he was to eat with the first time around. "I was heartbroken and ashamed that I wasn't able to show how amazing and surprising and delicious Beirut is," Bourdain said. "I think a lot of Americans will be surprised to see how cool of a place this is. ... I just felt an affinity for the place and was broken up by what I saw there." Watch the original Beirut episode: Click here.